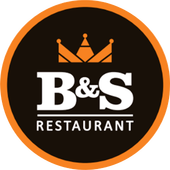 For all the travelers from all around the world who wish to enjoy traditional food in Iceland and want to spend some quality time admist the hectic touring, the best place to be is B&S Restaurant. The traditional restaurant in North Iceland has earned a great reputation as it is a cozy and comfortable restaurant which is located close by the ring road in the lush green town of Blönduós in North-West Iceland. These, many families, be local or foreigners, all of them love to spend their time here and they ensure that B&S is part of their vacation trip. The great fact about B&S Restaurant is that it is highly easy on pocket, along with being reasonable it also guarantees a great and pleasurable time that you can spend with your family and friends. This makes it an ideal pick, and people from all over the world who travel to this town are taken by the awe of B&S Restaurant. Talking about the food of this place, it is plain heavenly. Here you can get the delicious local food of Iceland. Food tells a lot about the tradition and culture of any place, so for travelers it is a great place to be! Another pleasurable sight is the menu book. The food offered here are not only limited to specific dishes, instead there is a great variety, which attracts people of all age. You can get mouthwatering raw material, along with vegetarian meals in North Iceland and pasta dishes, which are loved by teenagers and kids. People who like their food spicy you can opt for Indian dishes, and if you want to have something easy going and light weight than a variety of soups and small dishes and a salad bar is the right option placed for you. Not only this, people who want traditional fast food like pizzas and hamburgers also don’t have to run to other places, as all of this can be found under one roof. Another hit reason that people love this restaurant is due to its services in private party arrangements. B&S Restaurant can offer buffets and delicious menus for groups and from small to medium sized parties. They can do catering service for various occasions, which include events such as birthdays, marriages or confirmations. This can make your trip even more special. However, what you must keep in mind is that pre-booking is essential if you want to have a party. We will provide services according to your desires and wishes.